Outlaw Motorcycle Gangs as organized crime bodies are considered to be the single most serious threat to North America—the enemy within. Outlaw Motorcycle Gangs have been deemed “criminals without borders”—they are known and feared the world over. Outlaw Motorcycle Gangs close their world to the outside; their members tend to be highly suspicious of outsiders, and they are extremely concerned about being infiltrated by undercover police officers. The members of Outlaw Motorcycle Gangs do not want to be studied and, consequently, refuse to engage in formal interviews, fill out questionnaires, or have any statements tape-recorded. There is a rigid code of silence that cloaks their world in secrecy—the punishment for breaking this code is death. Nonetheless, there are literally hundred of works written on the outlaw biker subculture. Many of these works are polarized between two extremes, being pro-biker or anti-biker. Myth, legend, and reality overlap in the history of the outlaw biker. A researcher needs to become completely familiar with the topic they are investigating. This means seeking out, obtaining, and then reading as much as possible. The literature on your topic under investigation will be made up of many different kinds of sources, including scholarly literature, popular literature, newspaper articles, and magazine articles. Until now there has only been one attempt to compile a comprehensive literature search of the diverse sources on Outlaw Motorcycle Gangs. That attempt, published in 1996, was a valuable addition to the literature and an excellent source for those studying the outlaw biker subculture; however, it is out-of-date and did not include many sources. 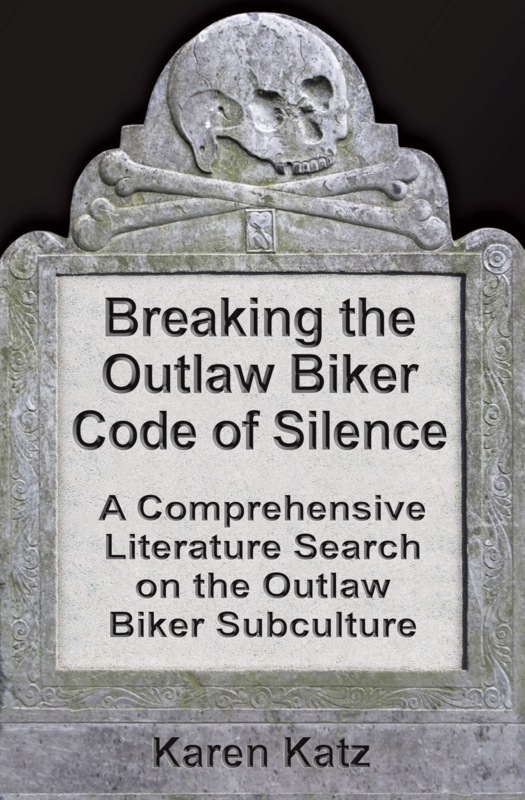 Breaking the Outlaw Biker Code of Silence: A Comprehensive Literature Search on the Outlaw Biker Subculture fills in the gaps and provides one of the most comprehensive compilations of sources on the outlaw biker phenomenon. This literature search is unique because it includes sources written by academics, law enforcement officials, former and current outlaw bikers, females associates, authors of popular literature, and journalists. The dissemination of the literature is important because the purpose of research is to contribute in some way to our understanding of the outlaw bilker subculture. Of course, this cannot be done if information is not shared. Each chapter features a detailed bibliography of sources in that category. The sources in this book are organized in a manner that attempts to make the bibliography a user friendly tool for a variety of possible readers ranging from academic researchers and students, journalists, authors of popular literature, lawyers, judges, law enforcement personnel, members of the outlaw biker subculture, and members of the general public. Katz has long been interested in understanding the Outlaw Motorcycle Gang subculture and her research dates back 26 years. Katz has received a Bachelor’s and Master’s Degree in Criminology, and a Master’s of Law specializing in Criminal Law. Katz has earned the reputation of the “data hound” because of her unique abilities to track down even the most obscure primary and secondary data. “This work by Karen Katz, a researcher with impeccable academic credentials and a 26-year interest and study of the Outlaw biker subculture, is greatly needed and will make a valuable contribution to the literature,” writes Thomas Barker, professor of Criminal Justice & Police Studies at Eastern Kentucky University. “If there is a publication or source on outlaw bikers, Karen Katz has already found it or will find it.” Katz is the author of several other books related to the outlaw biker subculture, including Behind the Patch: Towards an Understanding of Public Safety and Law Enforcement Motorcycle Clubs; Devilz Dollz: The Secret World of Outlaw Biker Women, and Gangsterism: Canada’s Law of Criminal Organizations. Available at Ingram, Amazon.com, Amazon.ca, Barnes & Noble and fine bookstores everywhere. When Dr. Donald Kordosky set out to discuss the current state of public education with one of Oregon’s most highly regarded educators, he didn’t expect to find himself agreeing that the four day school week might be superior to the standard five-day model. While Kordosky was somewhat familiar with the concept, he believed it to be inferior to the traditional way of running a school; after all, how could a student benefit from less time in the classroom? After several days of observation and hours of conversation with Bob Dunton, former superintendant of the award-winning Corbett School District on the outskirts of Portland, OR, he found himself interested in learning more about the benefits of the four-day school week. As Kordosky gathered more and more data, his formerly negative view of the four-day school week began to diminish, and he became an advocate of the notion. School districts that have implemented the four-day school week are surprised to find that the attendance of both students and teachers improved, and teachers and students alike arrive to school more refreshed and ready to teach and learn after a three-day weekend. Teachers find that they have more time to prepare their lessons, instructional hour increase and students have more time to complete large projects. The morale of teachers improves, as they feel better equipped physically and mentally to deal with the rigors of classroom teaching. Students are more actively engaged during class time. The four-day school week also decreases wear and tear on buses, and it reduces the amount of money laid out for fuel each year. School districts also find that there are expenditure reductions in facilities, transportation and employee costs. The Four-Day School Week: Less IS More! 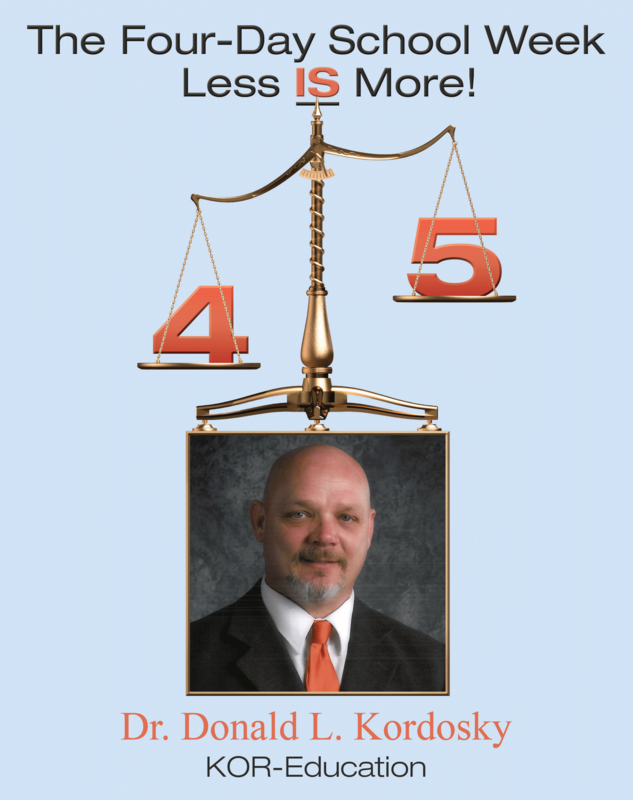 Tagged Dog Ear Publishing, Donald Kordosky, self publishing, The Four Day School Week: Less IS More! Larry is just a boy when he learns he’s not actually a peasant but the son of a king. A magician in red robes with a magical staff appears from the sky with a green alien and gives the boy powers, hoping he’ll serve him when he grows up. The magician’s hopes soon disappear when the black-haired boy grows up and learns about his true heritage from his mother. He becomes the magician’s sworn enemy and vows to save the world from the evil magician. 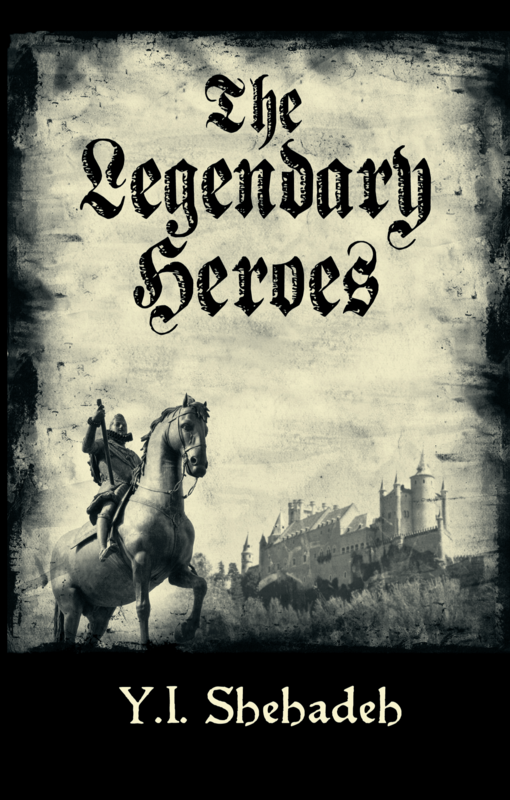 The Legendary Heroes follows Larry’s adventures from joining a 7,000-strong army, to seeing his father’s hidden castle for the first time and fighting many battles against Venom and his evil colleagues. Spies, magic spells and bargains made with the animal kingdom all add to the excitement of this heroic tale, which tells the age-old story of the fight of good against evil. Larry will be tested on all sides before this story ends and the next adventure begins. Author Yazan Shehadeh is a 14-year-old from Indianapolis who attends school in Pike Township. He plays sports ranging from football to track and field, his favorite sport. This is his first story. Shehadeh hopes it will make kids smile when they read it. Growing up in the restaurant business, the author worked part-time in his adopted father’s Italian-American restaurant when he was 12. At 16, he began working full time and learned to cook on the grill. The book’s recipes reflect both his heritage and those used at the restaurant such as clams casino and pan-fried lobster. It also contains favorites from family recipes such as tomato salad and fried green beans. Both novice cooks and seasoned chefs will find something to whet their appetite. 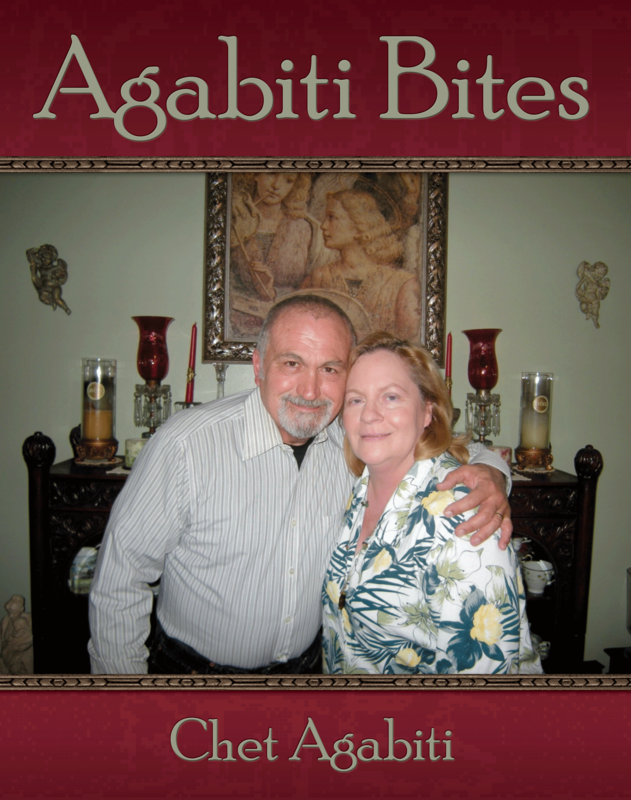 Agabiti Bites demonstrates the author’s love of food and joy in preparing dishes. Recipes range from low-fat to decadent. Veggie lover’s soup, for instance, is packed with healthy ingredients: cauliflower, broccoli crowns, green beans, red bell pepper, spinach, asparagus and carrots are just a few. Chicken and scallops Florentine, on the other hand, features chicken breasts, spinach, butter, Madeira wine and heavy cream. Both promise to be delicious and include detailed tips for producing the best dish. Top off a meal with Aunt Lil’s chocolate chip cheesecake, made from a recipe that has been in the family since Aunt Lil gave it to the author’s mother in 1958. Author Chet Agabiti’s parents adopted from an Italian orphanage when he was 4 and took him to Mercerville, N.J., where they ran a restaurant. Eventually, the restaurant was sold and Agabiti worked in fast food and fine dining and ran school cafeterias. He spent the next 20 years catering for family and friends. He jokes that his wife, Margie, would never have married him if he didn’t do the cooking. 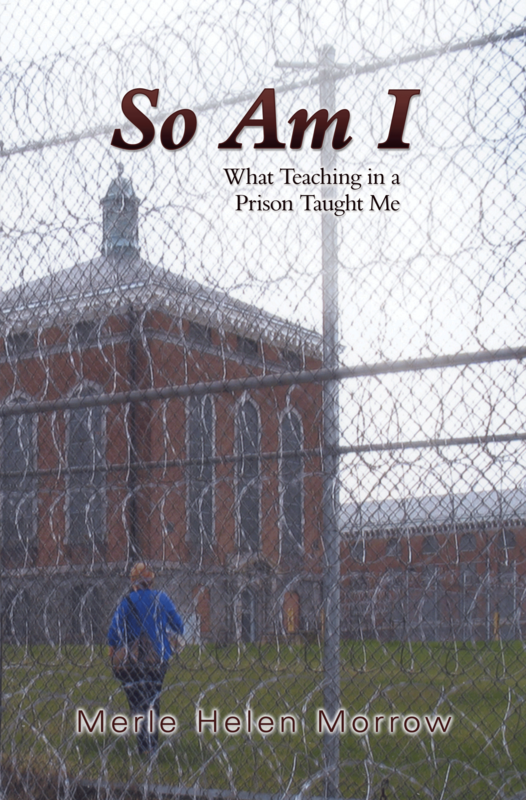 So Am I: What Teaching in a Prison Taught Me is a fascinating portrait of men in a GED class in a maximum-security prison working diligently to better themselves under sometimes heartbreakingly difficult circumstances. It also portrays Merle Helen Morrow’s struggle to view her students as multi-faceted individuals, rather than simply as convicts—a struggle made more difficult when, after one and a half years of teaching, she discovered the nature of her student’s crimes and had to reconcile that knowledge with her feelings toward the men she had come to know and respect as friends. Morrow’s perception of prisoners first began to change on September 11, 2001, when she saw the sorrow and patriotism of prisoners in a maximum-security prison she was visiting in connection with her job at the Department of Justice. As a result, Morrow retired from the Department of Justice, and spring of 2002 found her teaching a GED class at the Maryland House of Correction, a men’s maximum-security prison. Initially intimidated by the prisoners, Morrow soon developed a rapport with the students in her class and found herself admiring their effort and their fortitude in the face of tremendous, albeit self-inflicted, difficulty. Her relationship with her students inspired in her the desire to share their stories with the outside world. Morrow made a promise to one of her students that she would let the general population know that the men in prison were “not all monsters,” but rather that many of them, like the men in her class, were individual human beings who had committed crimes but were trying to rehabilitate themselves, with little to no help either from the outside or from within the system that confined them. Author Merle Helen Morrow practiced law for thirty years, and upon retirement taught a GED class in a men’s maximum security prison for over three years. Morrow has since volunteered in various capacities aiding prisoners, including teaching in a men’s pre-release unit for one year and ongoing volunteer activities with the Maryland Restorative Justice Initiative, which awarded her the 2008 Volunteer of the Year Award. Morrow and her husband reside in Maryland. She will donate her royalties to prisoner rehabilitation programs. Poetry can be more than pretty words on a page. Poems can alter the mind and one’s thinking each and every time someone ponders their meaning, revealing new insights. 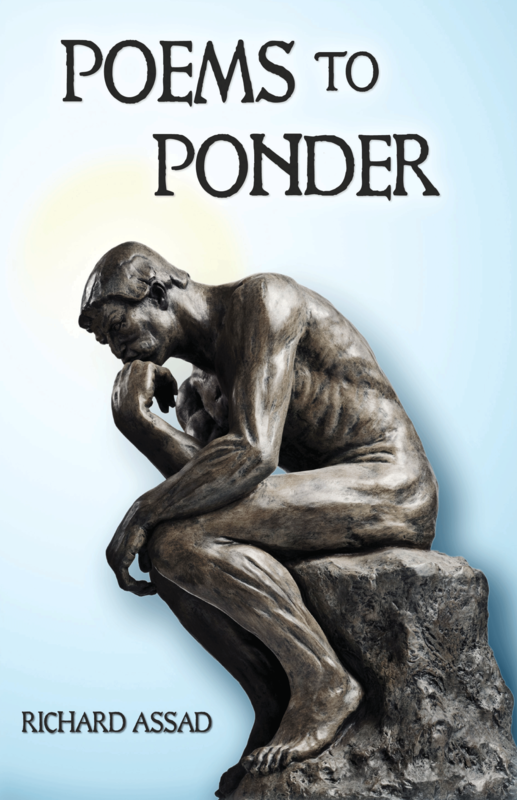 The author of this thought-provoking book offers 65 poems “designed to force an individual to think (ponder) on life’s most pressing questions.” As readers ponder the written words, they must confront their own psyches and ways of thinking. Poems to Ponder features poems on everything from materialism and death to addiction and God’s love. Each poem includes space for the reader to write down insights inspired by the words, followed by an interpretation from Assad. For instance, a poem on identity brings this insight from the author, who writes: “Words are the power to shape our lives. Use them correctly and enjoy! Use them foolishly and pain appears.” Likewise, a poem on true strength offers another profound thought from Assad: “True strength is based on what you add or give to the world, not what power you have to resist or destroy.” Thinking about these weighty issues can move someone up the spiritual and intellectual ladder. Author Richard Assad grew up in a rough neighborhood, expelled from five high schools by the time he was 16 years old, despite high IQ scores. (He was accepted in the High IQ Society, MENSA and Intertel.) He studied at the University of Massachusetts after receiving his GED, completing a bachelor’s degree with honors. He earned a master’s degree at Suffolk University and a doctorate at Boston University. Newlyweds have many challenges in their first year, but Seth and Faith faced additional challenges after falling in love and marrying. Faith is a young schoolteacher and Seth is a dashing sailor. He spends two or three years at sea at a time on his Nantucket whaling ship, living a dangerous and exciting life of a whaler in the 1840s and ’50s. This historical novel is based on the life of the author’s grandparents in a Cape Cod village when whaling was big business and sailors traveled from Cape Horn to Good Hope. 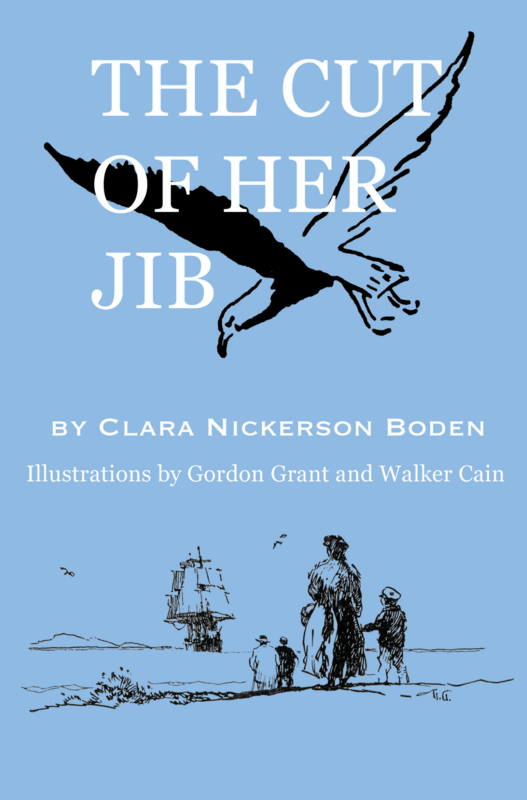 In The Cut of Her Jib, published by Dog Ear Publishing, Faith first becomes intrigued with sea life when as a young girl she hears tales of Cannibal Island natives and Fiji warriors. She accepts a position as schoolteacher in a seaside town, landing the job when the school committee chairman likes the “cut of her jib.” She and Seth are parted and must wait a year before they can make their true feelings known. Seth signs up for a long-term whaling trip soon after their marriage, and the couple live separate lives with only a few letters to connect them, as Faith gives birth to their son alone. Seth comes back to Faith, and she takes matters into her own hands to assure their happiness. Author Clara Nickerson Boden first published this book in 1953, and her grandchildren are republishing the tale, which features illustrations by Gordon Grant and Walker Cain. Boden, who was born in 1883, discovered her grandmother’s journal tucked in a sea chest in the family’s home and was inspired to write the story of her grandparents and their whaling days together and apart.